Redbooth is a task and project management platform that provides a single place for team collaboration – tasks, discussions, HD meetings, and file sharing. 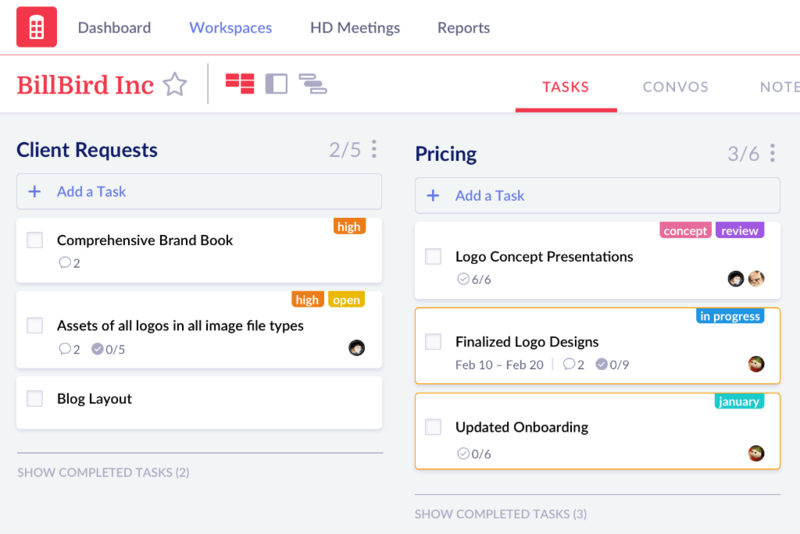 Redbooth is simple and flexible to use, enabling project teams and departments at thousands of companies to get work done. Redbooth features task management, collaboration, file sharing, time tracking, Gantt charts, Outlook integration, reporting, and real-time communication through video conferencing. Redbooth can be integrated with various applications that enable teams to perform additional tasks such as sharing files and documents with teammates, such as Outlook, Box Enterprise, Google Apps, and Evernote. Redbooth supports several languages including English, French, German, and Spanish, and is available on the web, Mac, Windows, Linux, iOS, and Android. Founded in 2008, the company is privately held and headquartered in Palo Alto, California. Still not sure Redbooth is right for you? Use our Product Selection Tool to compare other Project Management software solutions. Have questions? Call one of our unbiased Technology Advisors for a free consultation. Learn everything you need to know about Redbooth. Our experts will reach out to you shortly.